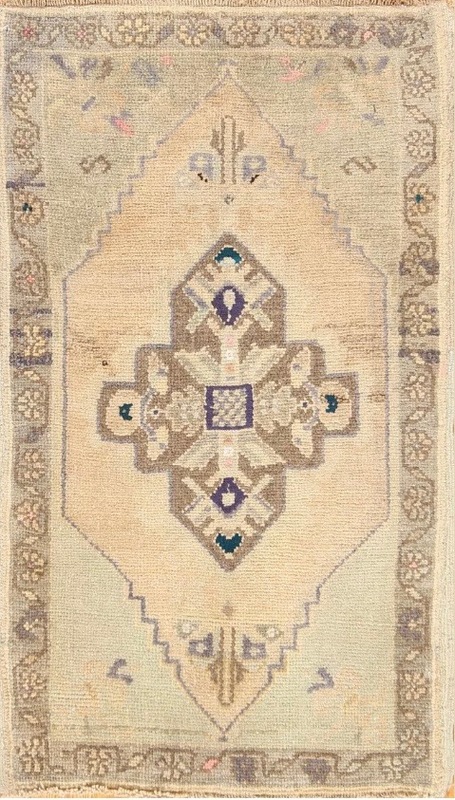 Oushak rugs originated in the small town of Oushak in west central Anatolia, just south of Istanbul, Turkey. Unlike most Turkish rugs, Oushak carpets are most definitely Persian influenced. Today they can give your interior an instant update. They are readily available, new and old and allover the internet. Small ones are fairly reasonable. Ok, big is great too, but big is more of an investment. I'm talking about a small "pick me up". These rugs are quite versatile. Use them in front of the kitchen sink, in a powder room, by the edge of a bed or layered on top of a sisal or seagrass rug in the foyer. These rugs are an excellent addition to all kinds of decor. 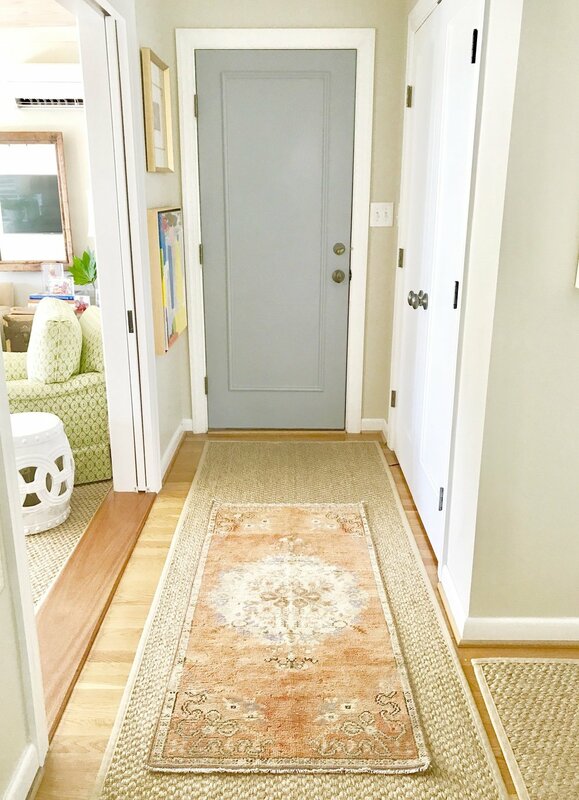 This 28' x 58" Oushak available through Lucy Williams Interiors looks great when layered over this natural fiber rug in the foyer. The following three rugs are vintage and currently available on eBay. Click on image for more info. The following are currently on etsy. Click on image for more info. If you are looking for a little refresh without a large investment, a vintage or reproduction Oushak or Persian rug, might be just what the doctor ordered!